Happy Monday! 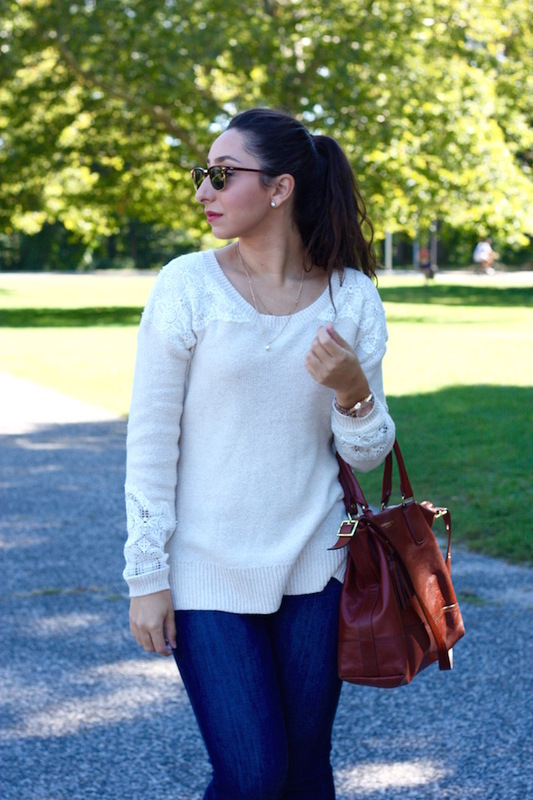 The weather finally cooled down a lot this past week in New York so it was the perfect opportunity to wear this big comfy sweater I’ve been saving from LC Lauren Conrad. I love the colors it comes in, especially this pretty light pink. Light pink is so delicate and also looks great with dark fall earthy tones. 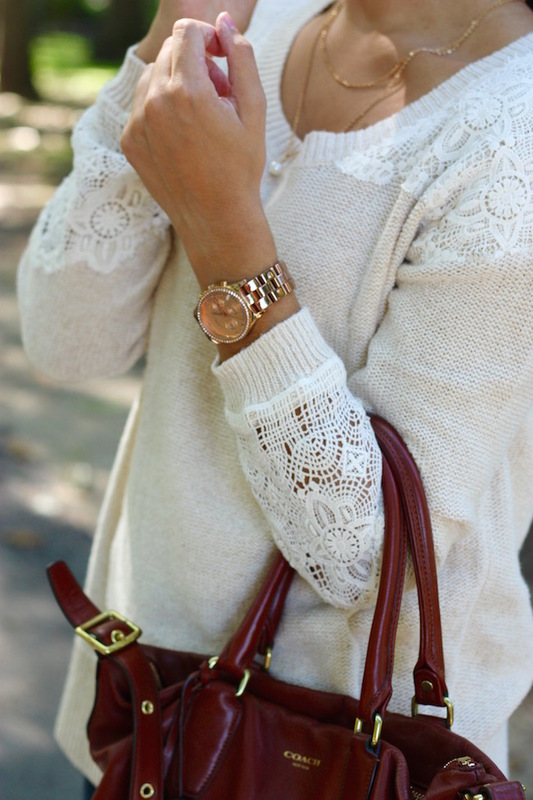 And I’m OBSESSED with the lacy detail on the sleeves, it makes it that much more pretty and feminine! 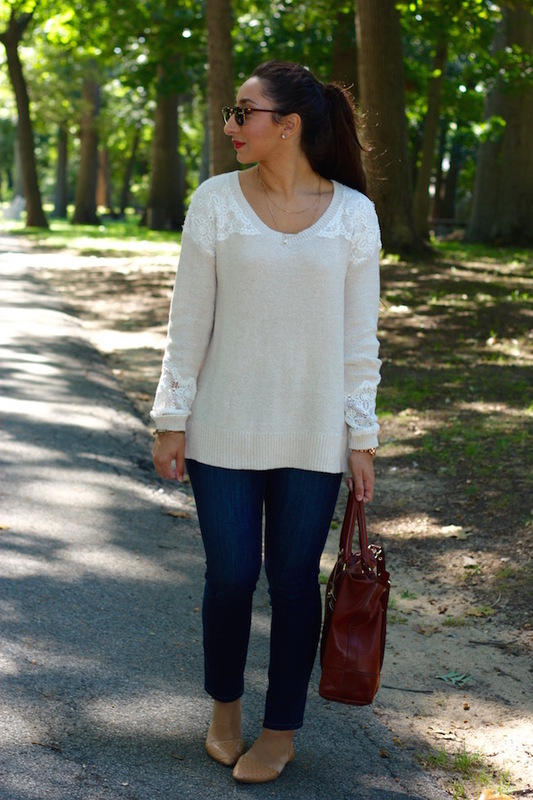 My jeggings are also by LC Lauren Conrad and they fit amazing!! I’ve had such a hard time finding new jeans lately that aren’t too expensive and these jeggings are just so comfortable but they still look like actual denim jeans. Plus they’re on sale! Love this look! 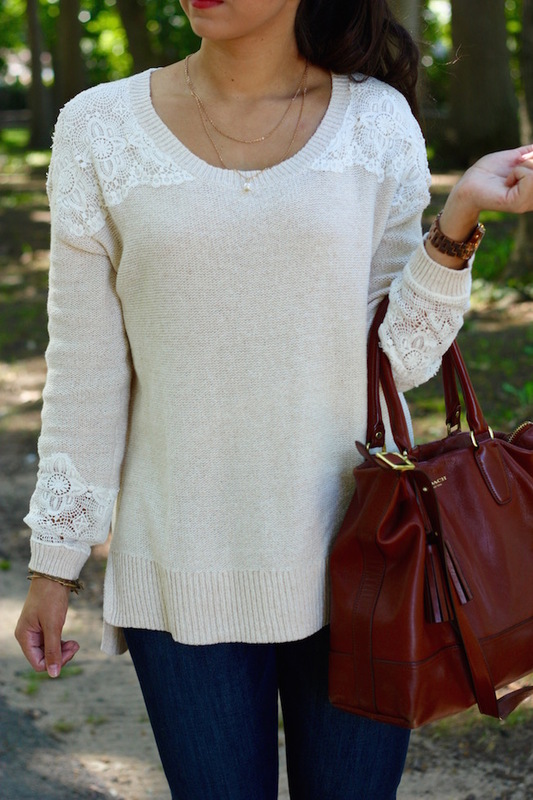 Sweater is very pretty, lacy details are beautiful.